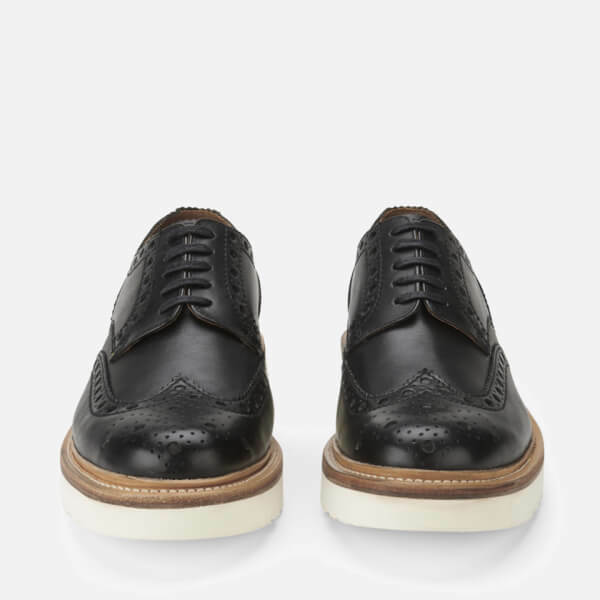 The Grenson Archie V Leather Brogues combine a premium black leather upper with a lightweight white wedge sole. 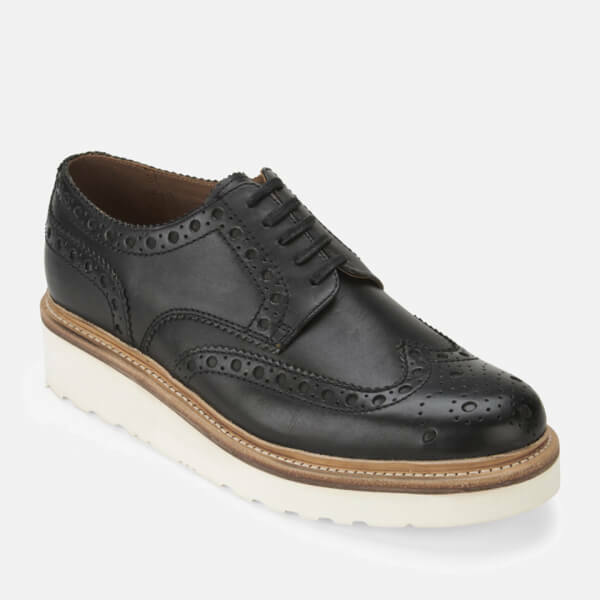 Fastened with waxed leather laces, the slim, round toe upper features a oversized brogue pattern and wingtip detail around the toe. 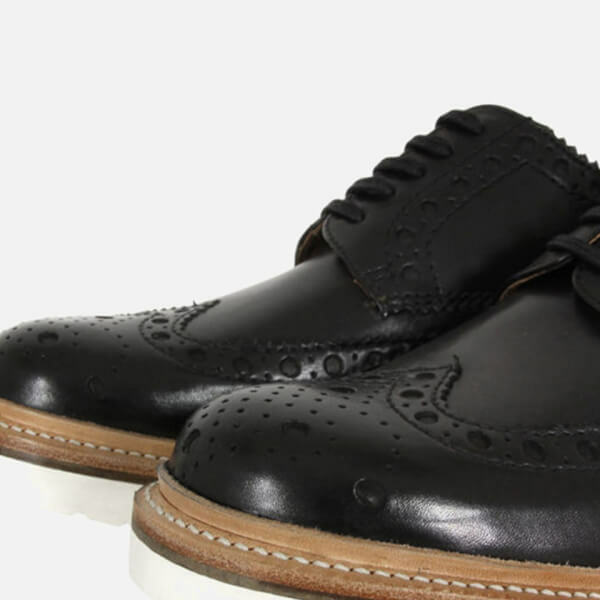 Constructed using a traditional Goodyear welt, the brogues are set on an XL ExtraLight® white outdoor flex sole and finished with a comfortable red leather insole. - A.D. 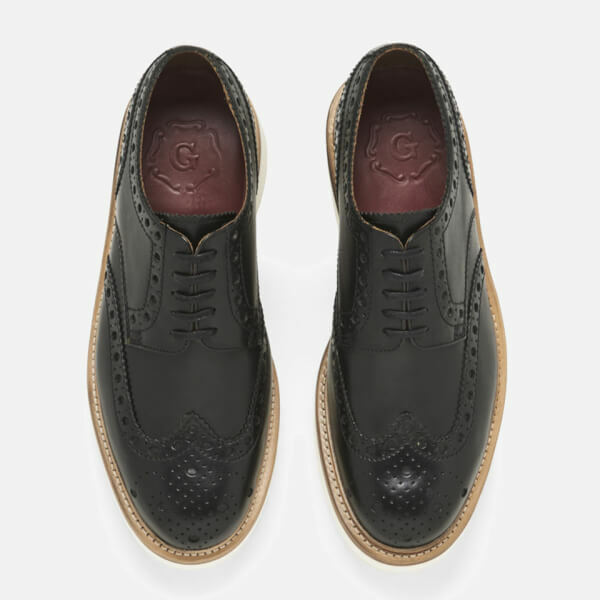 These Grenson Men's Archie V Brogues fantastic quality, I'm really pleased with my purchase!